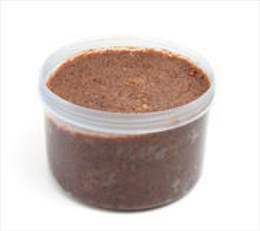 Fish/shrimp paste is made from fish or shrimp with 6–10% salt by a process of salt-controlled anaerobic fermentation. Fish sauce is traditionally prepared by autolysis and fermentation of small fish that are salted and stored under anaerobic conditions for 6–12 months. Shrimp sauce is made from fermented ground shrimp mixed with salt (10–20%). Well-known fish or shrimp paste includes Belacan(Malaysia), Terasi(Indonesia), Bagoong alamang (Thailand), Kapi (Thailand), Ngapi (Burma), Padaek (Laos), Petis ikan (Indonesia), Prahok (Cambodia), Anchovette (South Africa), Gentleman's Relish (England), Jakoten (Japan), Pissalat (France), Poacher's Relish (England), Surimi (Japan, China). Well-known fish or shrimp sauce includes Bagoong (Philippine), Budu sauce (Kelantan, Malaysia, Thailand), Cincalok (Malaysia), Garum (Greece, Italy), Mahyawa (Iran), Padaek (Lao), Phu quoc fish sauce (Vietnam), Pissalat (France), Shottsuru (Japanese), Worcestershire sauce (United kingdom). Salt plays a significant role in fish/shrimp paste and sauce products and acts as preservative to inhibit the growth of spoilage and pathogenic microorganisms. However, the high salt content and microaerophilic or anaerobic conditions during fermentation encourage the proliferation of lactic acid bacteria, e.g. Leuconostoc mesenteroides subsp. mesenteroides and Lactobacillus plantarum in Malaysian shrimp pastes, Leuc. mesenteroides subsp. mesenteroides in Indonesian shrimp paste. (ICMSF, 2005). Moderately halophilic bacteria such as Bacillus and Staphylococcus spp., and extremely halophilic strains of Halobacterium salinarum have been reported as spoilage agents in fish sauces. Besides, the risk of oxidation and the associated off-flavours also presents in fish/shrimp paste and sauce. The health trend of reducing the salt content and turning away from containing unfamiliar or chemical additives of these products may pose a serious problem in fish/shrimp paste and sauce. Traditionally, pasteurization or cooking is usually practised as a means of prolonging shelf life of fish / shrimp pastes, chemical preservatives such as benzoic acid / sodium benzoate are added to extend shelf life. The greatest challenge of food producers is to fulfil this demand with label-friendly solutions.